Olivia Chacón is a flamenco dancer, choreographer, and instructor with a uniquely powerful dance style and dynamic approach to teaching students. Originally from San Antonio, Texas, Olivia has danced flamenco for over seventeen years, and has spent five years studying flamenco and performing in Sevilla and Madrid, Spain with some of the world’s best flamenco artists. She spent two years touring internationally throughout Spain, Mexico, and Cyprus with the Cristóbal Reyes Compañia de Flamenco, and also performed as a soloist in flamenco clubs in Spain and Germany. Olivia aims to keep the dance form alive and well in this country by performing frequently throughout Texas and the region, and teaching flamenco to a new generation of dancers at her studio, Flamencura Music and Dance in Austin. Olivia is also co-founder and Artistic Director of A’lante Flamenco. Born in Austin in 2011, the 11-member company has garnered rave reviews and awards for their innovative ‘flamenco theater’ productions, including the Austin Critics’ Table Award for Best Dancer (Olivia Chacon 2013); and Best Dance Ensemble (2014 and 2015). 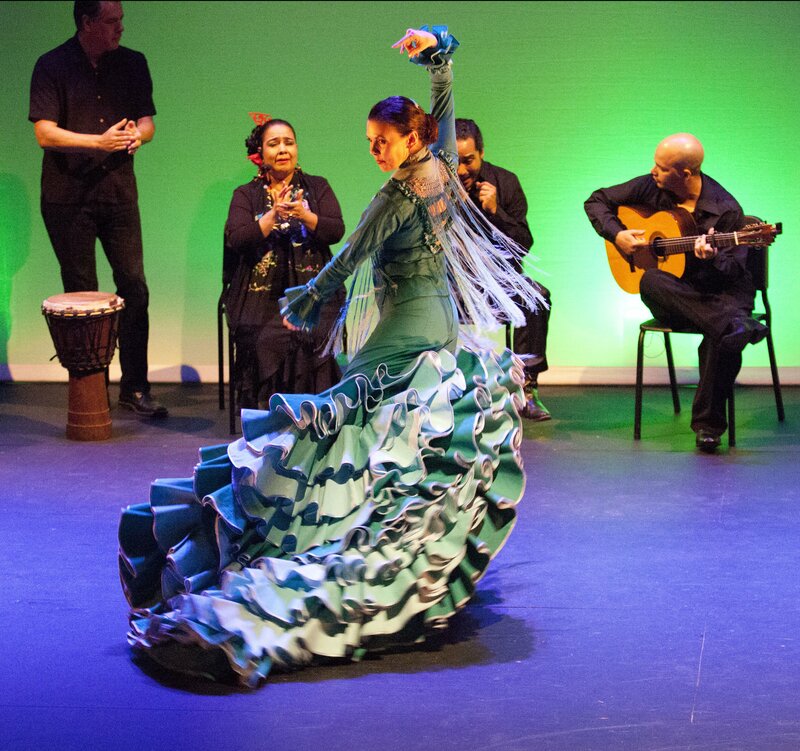 A’lante Flamenco presents original choreography and music with the goal of connecting with audiences via creative storytelling. Their productions include The Red Shoes: A Flamenco Fairytale (2012); Prophecies (2014), based on the writings of Khalil Gibran; and most recently Desplazados (2015), in which company members told their personal stories of immigration and displacement via music, dance, and video. Olivia is also a dedicated flamenco dance teacher. She has taught flamenco dancers of all ages and levels since 2004, always with a special emphasis on understanding the pivotal role of music in flamenco dance. She has been an adjunct dance instructor at McCallum Fine Arts Academy since 2012, and loves exposing young dancers to the complexity, beauty, and tradition of flamenco. Flamencura students are also encouraged to show off their skills during performances several times per year in order to foment their artistic growth.